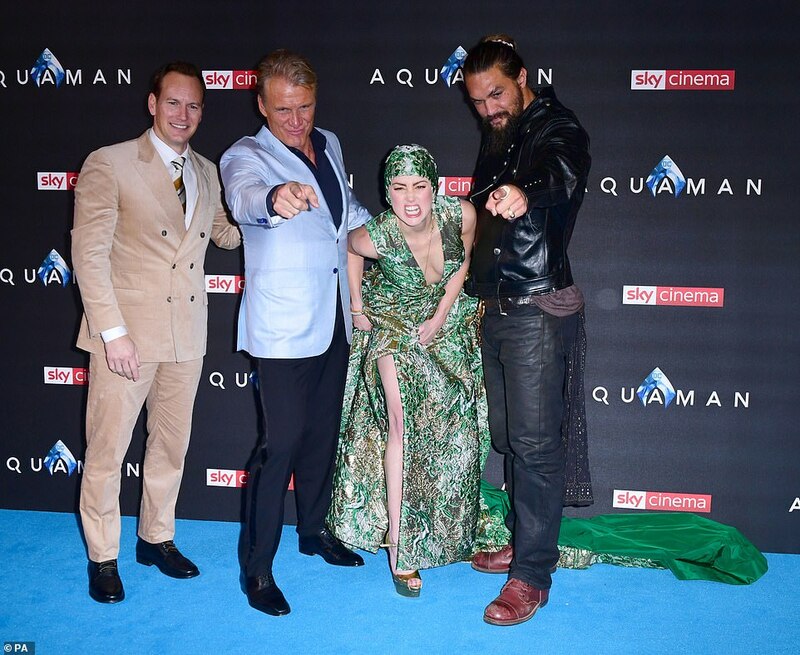 She plays the queen of the sea in the hotly anticipated Aquaman film. 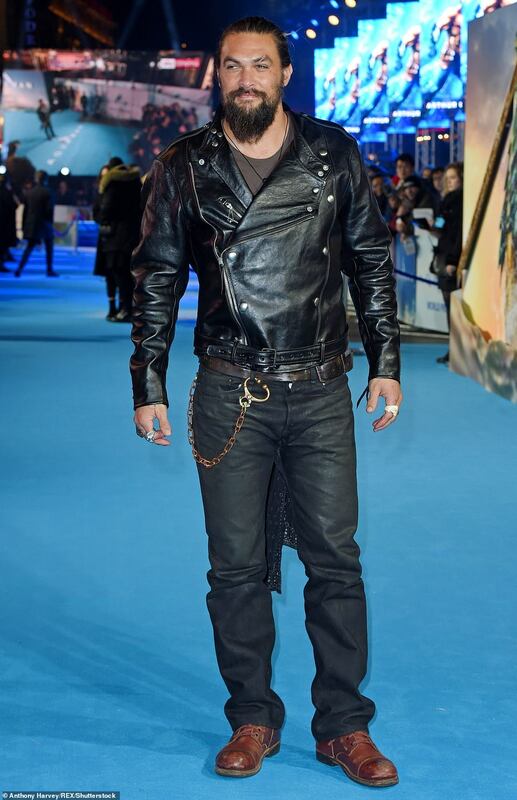 And Amber Heard appeared to take style inspiration from her character as she attended the star-studded world premiere for the movie at Cineworld in Leicester Square, London on Monday. 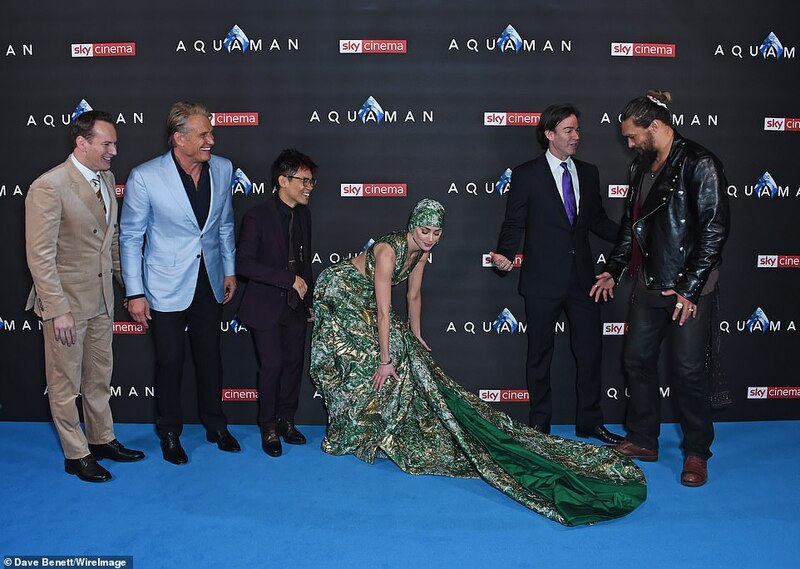 Clad in a seaweed green gown and swimming cap style headwear, the 32-year-old actress was a vision of beauty as she stormed the blue carpet alongside her co-stars Jason Momoa and Dolph Lundgren. 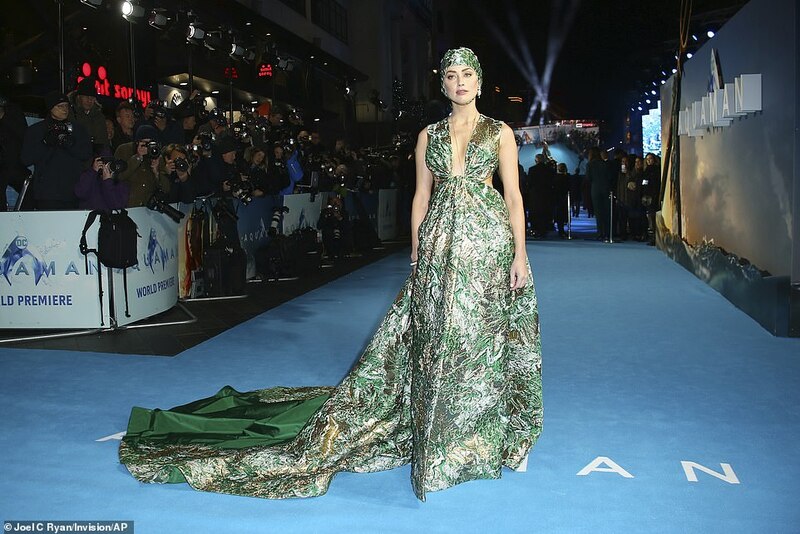 Showcasing her stunning physique, Amber’s gown featured a plunging neckline which teased her ample cleavage and cut out detailing at the waist to accentuate her slender frame. 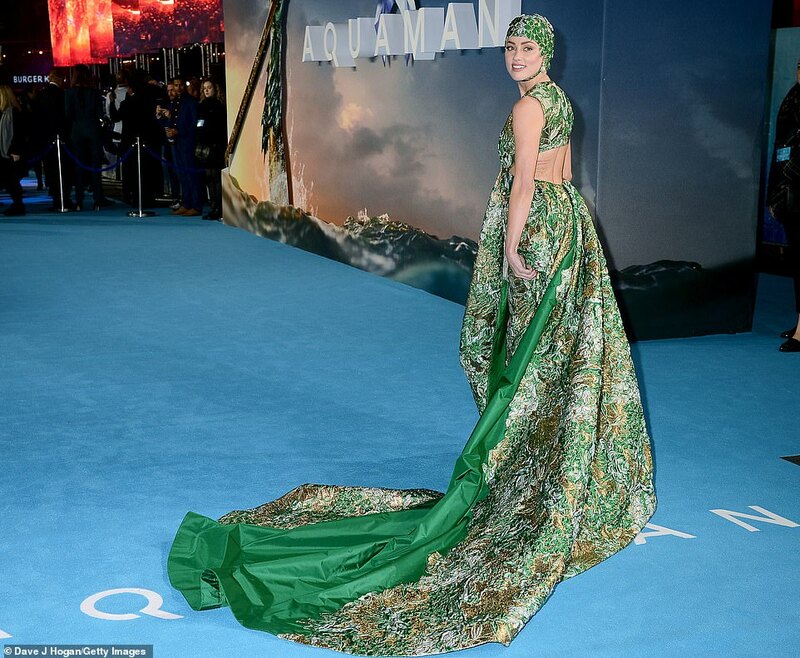 The billowing skirt also featured a dazzling train that trailed behind her as she glided across the carpet. 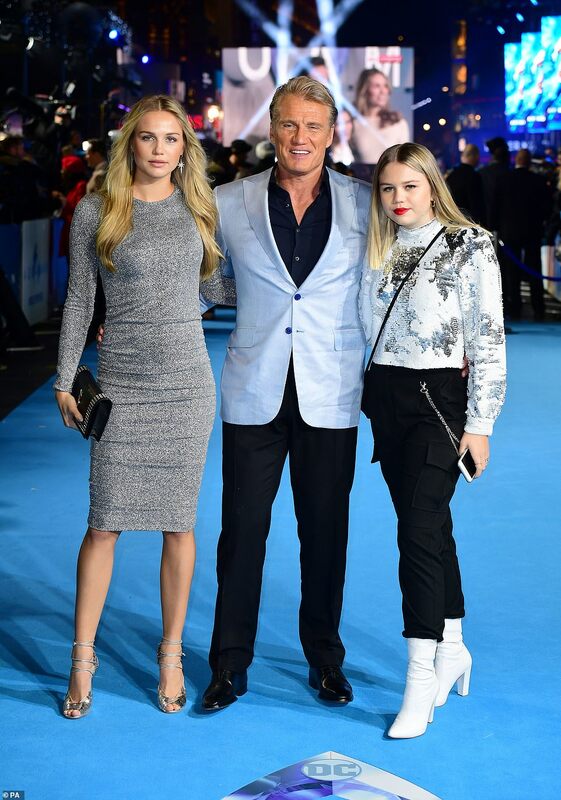 Amber’s look was completed with an intricately embellished cap that concealed her glossy blonde locks, whilst a slick of scarlet lipstick lined her plump pout. 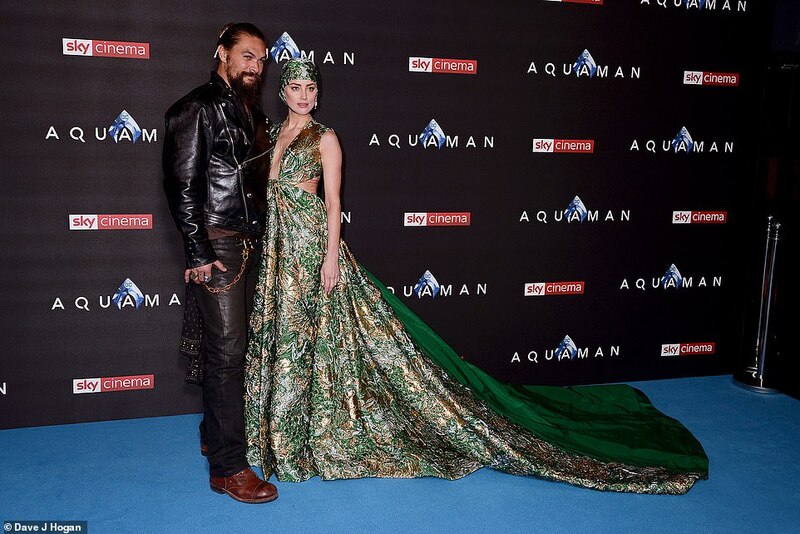 Amber plays Princess Mera, the romantic interest of Jason Mamoa’s titular character, in the forthcoming Hollywood film, which also stars Nicole Kidman. 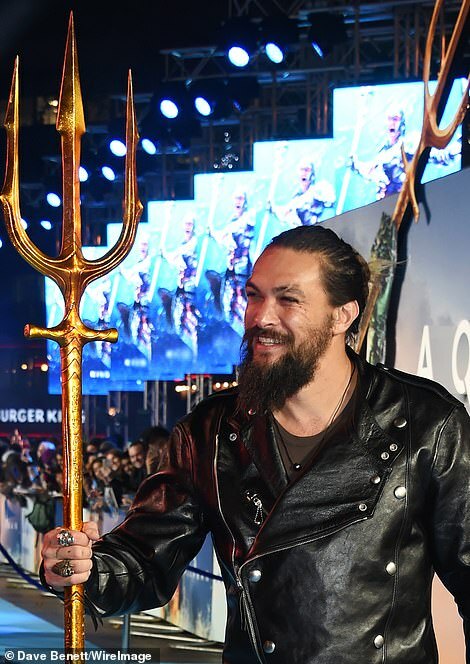 Jason played up to his superhero role as he stormed the red carpet for the premiere – toting a gold trident that looked rather out of place with his all leather ensemble. 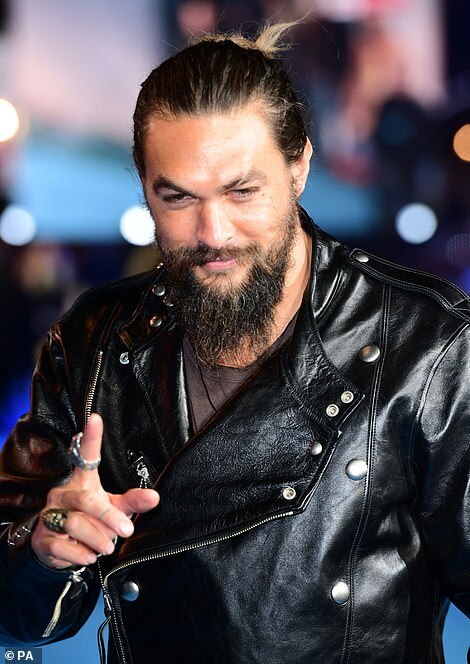 The film’s storyline takes place in the wake of Justice League in which Arthur Curry/Aquaman, the half-human half-Atlantean ruler of Atlantis, reluctantly assumes the underwater kingdom’s throne. 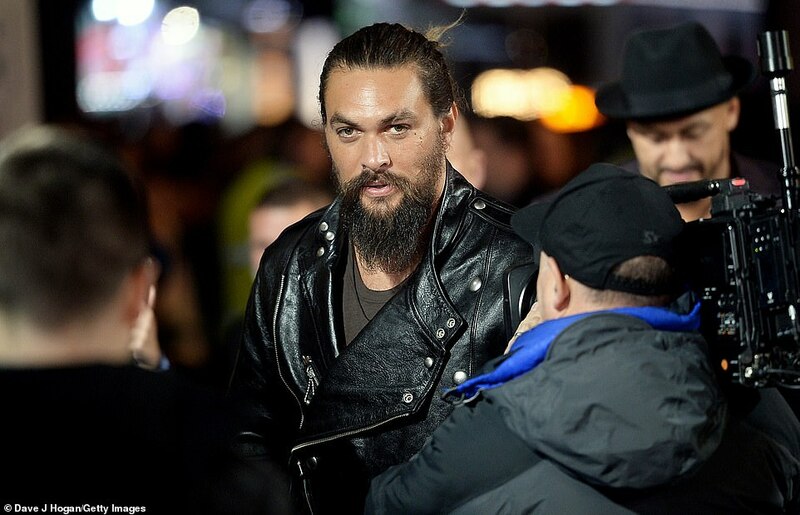 Ultimately, he must take sides in a brewing conflict between the surface dwelling populace that poses a serious risk to his people and the world’s oceans and the denizens of Atlantis, who urge him to take action and invade the Earth’s surface in order to ensure their survival. 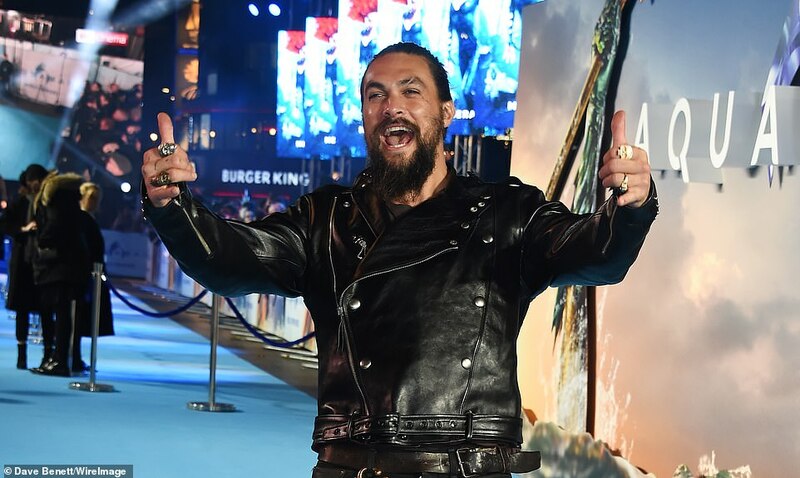 Audiences got their first peek at Aquaman when he appeared in Batman v Superman: Dawn of Justice in 2016, but this is his first standalone film. 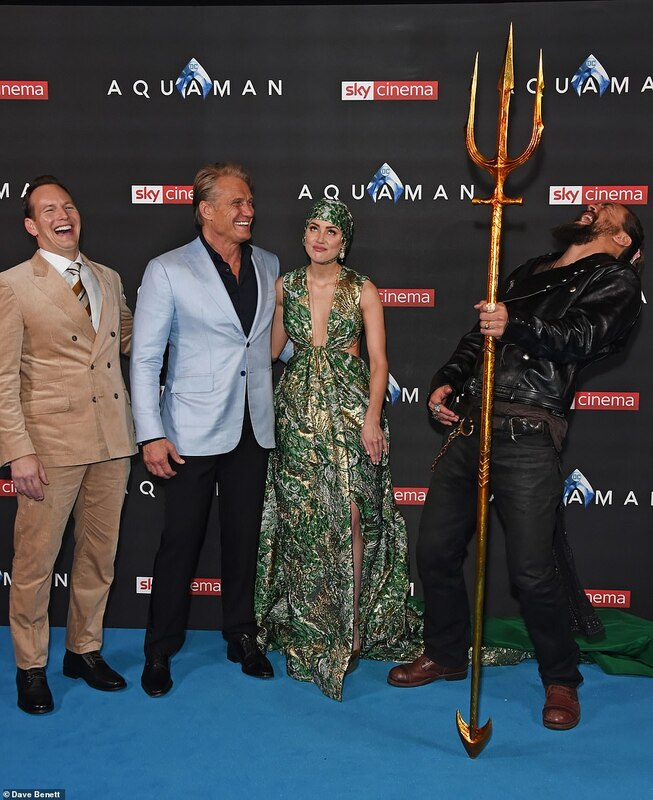 The movie, which is directed by James Wan released in the UK on December 14, hits US theaters December 21 and will reach Australian and New Zealand audiences on December 26 on December 26. 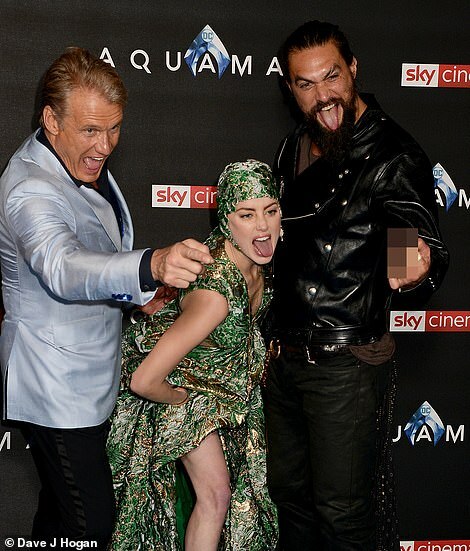 Meanwhile, it was recently revealed that Julie Andrews has a secret role in Aquaman. 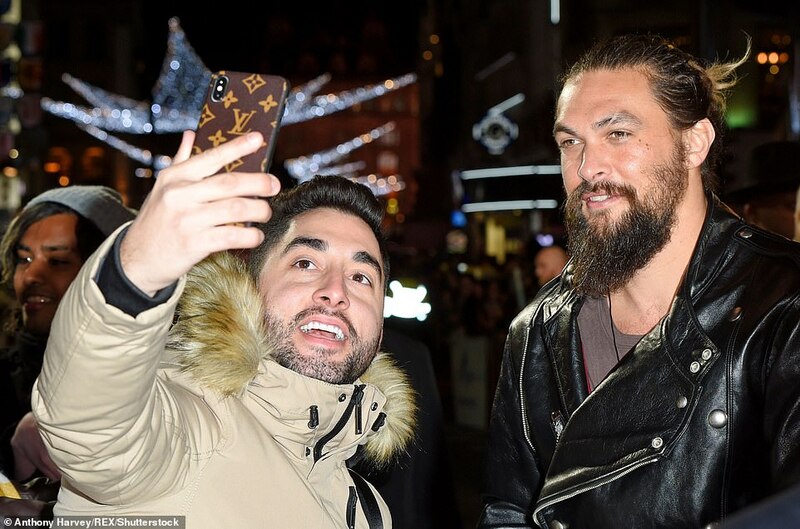 The 83-year-old actress voices the mythic Karathen, ‘an undersea creature that holds the key to Arthur Curry’s (Jason Momoa) quest to unite the Atlantean and surface worlds’ according to Entertainment Weekly. 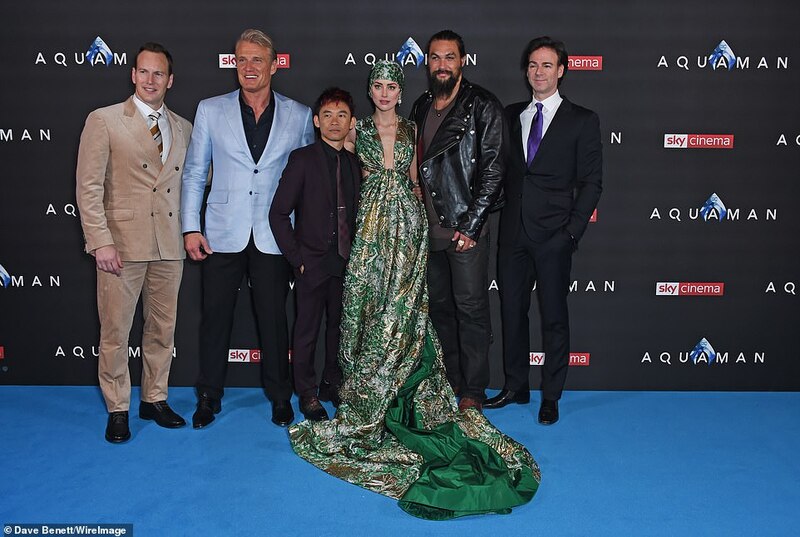 Interestingly, Aquaman is being released the same time as Mary Poppins Returns starring Emily Blunt, however Julie declined to appear in the sequel. 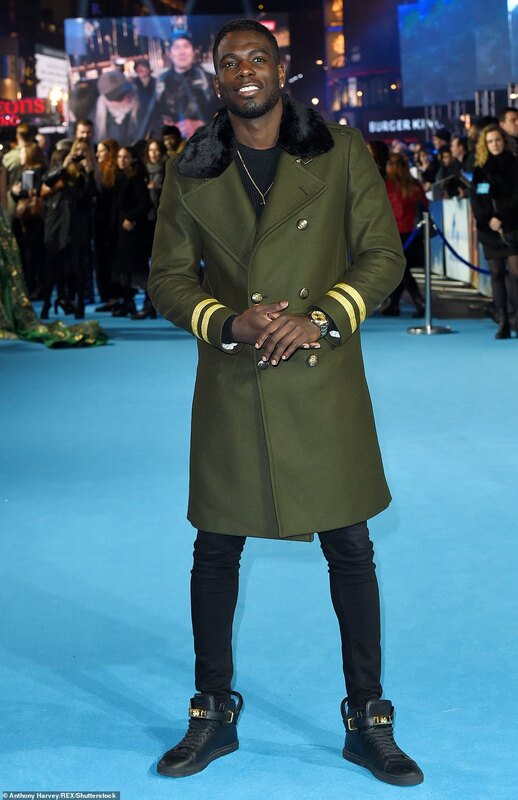 ‘I’ve had support from strong women who were there for me when I wanted to give up and at moments when I thought I couldn’t endure more abuse from the world.